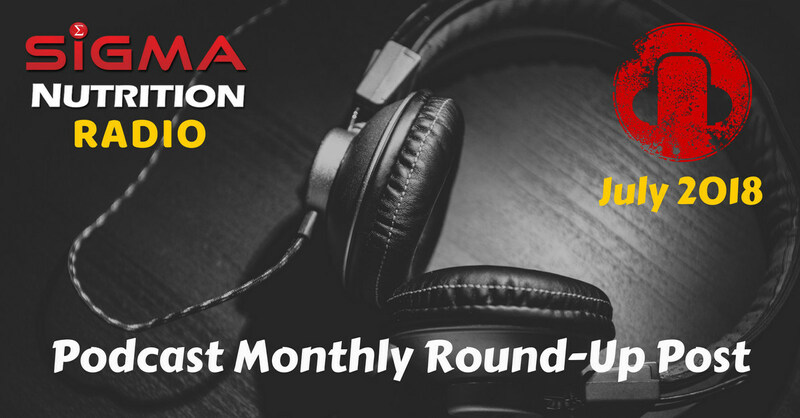 Welcome to the Podcast Re-cap post for the month of July 2018. This will be a breakdown of some key points that our re-cap author, Ella Whitcomb, took from the episode. Kevin holds a BSc in Psychology from Washington State University and an MSc in Counselling Psychology. His focus has remained on anxiety disorders, and he aims to explain complicated concepts in understandable terminology, whilst providing empathy and helping individuals challenge their worst fears. Kevin provides effective, evidence-based treatment to individuals struggling with anxiety disorders using humour, kindness, and compassion. This is a hugely impactful and important episode that focuses on anxiety and available treatments. You may find this particularly pertinent if you or anyone you know is affected by anxiety. It is also a brilliant introduction for those who have no experience and can serve to increase understanding and awareness. Whilst this synopsis attempts to summarise the episode, for clarity and a deeper understanding it is worth listening to the episode in full. “Anxiety is the perception of threat as opposed to actual danger”. In reality, when someone is in danger they don’t tend to use anxiety language nor are they flooded with intrusive thoughts. Are you acting on fear or preference? Kevin goes on to discuss how to differentiate between decisions based on fear to those based on preference. Only the individual themselves really knows the answer, but Kevin warns that if individuals continue to convince themselves that they are choosing based on preference and not fear, this may lead to the development and maintenance of an anxiety disorder. He suggests asking yourself the question “am I doing this due to fear or preference”. If you can make more preference decisions than fear then you’re doing great and this is a platform to gradually improve on. Exposure therapy or “Making decisions that are the opposite of what you’re anxiety wants you to do” is an evidence-based, effective treatment in anxiety disorders. When you feel the fear and you make the decision to avoid you feel less anxious and that is rewarded. Over time this is reinforced and explains part of how an anxiety disorder is maintained. Anxiety is physiological experience, whereby the sympathetic nervous system is activated to protect you from a perceived threat. Once our body knows we aren’t in danger it turns this process off. In exposure therapy, the practitioner presents the person with the perception of threat and stays there long enough until the brain realises there’s no danger and activates the parasympathetic nervous system. When individuals are exposed to the things that feel scary (not dangerous) and they don’t engage in behaviours that avoid, or mitigate this then their anxiety will reduce. This has to happen just a few times to learn that the experience doesn’t require the sympathetic system. In order for this to be effective you need to be vulnerable to the experience of anxiety and not white knuckling it. If you engage in safety behaviours and you get through something you’re scared of, the message is not that you can do this because you can tolerate bad things and feeling uncomfortable. Instead, you learn that you did it because of the safety behaviour and don’t learn that you can cope. As the individual’s tolerance and capability to deal with their anxiety increases, it is no longer impairing anymore. So the paradox of treatment is that whilst it aims to help you cope and manage the feelings, in doing so the anxiety may no longer be impairing and therefore a diagnosis may no longer be present. This was an outstanding episode that has received a lot of positive feedback amongst listeners. Kevin did a great job of explaining anxiety in an effective and sensitive way – it’s well worth a listen. Martin is a clinical performance nutritionist and the founder of Mac-Nutrition, a thriving nutrition consultancy boasting sought after long-term internship and weekend mentorship programs. He has also developed Mac-Nutrition Uni, the UK’s first ever evidence-based, nutrition course that can be completed online. Martin has worked as a performance nutritionist in elite sport with British Weight Lifting, Derby County Football Club, English swimming and other elite sport organisations. In this episode, Martin discusses how he went from having an interest in muscles and human anatomy as a young boy to being a well known and respected performance nutritionist and owner of a successful nutrition company. Ever since his childhood, Martin was obsessed with muscles and human anatomy. Following some advice from his sports studies teacher, he pursued a sport science BSc at Loughborough University. Upon completion, Martin was unsure of whether to continue down the exercise physiology/strength and conditioning route or nutrition as he was interested in both fields. He came to the realisation that he could never know everything about exercise science, training and nutrition and therefore he decided pursue a career in nutrition as he could see the potential to make a difference in the industry. Throughout his career, Martin has worked with some extremely high level clients including Derby County Football Club, British weightlifting and England swimming. During this episode, he shares some interesting insights into the reality of working in some of these settings. One of the key lessons I took from this episode is about making the most of the opportunities you’re given. On a number of occasions, Martin was offered some fantastic opportunities and, early in his career, this was down to the passion he showed for nutrition as well as his tenacity to read deeply into the subject and speak openly to people about it. Once he’d secured these opportunities, he always over-delivered which lead to him securing further work. This is a testament to Martin as both a person and a nutritionist. Throughout the episode there were several occasions where he spoke of friend’s asking him to give a talk, which would lead to him securing employment in some elite settings. You may not be in control of the opportunities that come your way, but you can certainly ensure you make the most of them. In the second half of this episode, Martin discusses his rocky relationship with the fitness industry and the birth of Mac Nutrition Uni. After several years in the fitness industry he started to become disillusioned by all the misinformation and dishonesty. He felt as though many people only cared about making money and he took it upon himself to approach these people. As well as this, he discussed the responsibility of taking on staff and the need to become more business oriented, all of which took its toll and even had him questioning whether he should pack up shop. Through this process, however, Martin came across other individuals with similar morals to him within the industry and eventually Mac Nutrition Uni was founded. The aim was initially to give people the wisdom and confidence to be nutrition practitioners but the effects have been far more pervasive. His course is now seen as one of the best in the industry and is endorsed by experts in the world of nutrition. This episode provides interesting insights into the journey and experiences of an industry leader. It covered his formal education background, his experiences within elite sport and his views on the fitness industry. Andi and Alex are the brothers behind Intelligent Strength, a company that produces education on strength training and body composition. They are also known for being the owners of “Das Gym” in Vienna, Austria. Andi has had a long career as a coach and educator. He initially competed in strongman and powerlifting, and has recently competed in bodybuilding. Alex works within Intelligent Strength, and is also a physical education teacher. He has a long history of powerlifting, which includes competing at several IPF world championships and winning Gold in the deadlift at the European championships. In this episode, Andi and Alex discuss their childhood influences and the paths that lead them to where they are today – owners of the “Das Gym”. They strive to make it the best gym in the world and to influence as many people as possible. Andi and Alex have always been sporty, but it wasn’t until they moved to Vienna in their early twenties and began competing that they became more serious about weight training and owning their own gym. After Andi’s company’s success, this dream became more of a reality and it came down to finding the perfect building. In Danny’s words, “Das Gym is a truly unique place,. it opened in 2016 and it’s hard to imagine there being another place like it on the planet.”. Part of what makes Das Gym so special is that Andi and Alex aim to put training at the centre of the gym experience. They understand that people begin training because they want to change and challenge themselves to become better. In order to get people to continue training for a long time, they have to enjoy the journey or the process instead of just the end results. Andi and Alex’s philosophy is that you have to care about people. If you don’t care you shouldn’t be surprised if people aren’t successful. Their unique way of viewing things shows insight into how they’ve managed to create such a well-loved gym and successful company. During the episode, Alex mentioned that you can know everything about your profession but if you’re not yourself you will not get far. This was in the context of Danny asking whether his stature meant that the children he trained paid more attention to him. Alex went on to elaborate that being yourself is what’s important as people can pick up on this. You can have the biggest and most positive influence on people when you do what you think is right and are living this truth. I also took this to mean that you should follow your own path and not try to copy others because as long as you’re not doing it in an egocentric way, you will be successful. His identity wasn’t completely tied to powerlifting: this reminded me of the discussion in episode 233 with Bryce Lewis. It is a valuable lesson as by understanding that there was a lot more to him as a person than his Powerlifting achievements, he was able to find content in other aspects of his life. This was a really interesting episode that gave an insight into the lives and personalities of Andi and Alex and gave a taster into their philosophies on running their gym. There were some great lessons throughout. Enjoy this article? Click here to share it on Facebook!